eeedo offers an array of smart project management tools designed for companies, research groups, and other organizations that have both internal and external members. eeedo offers powerful tools for successful project management. We provide centralized and personalized access to conversations, contact information, and task-specific topics and tags to help you keep all of your information, files, and tasks up to date. 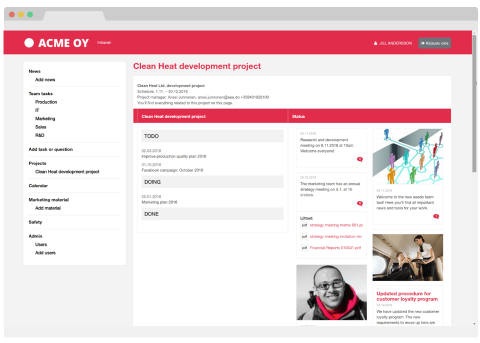 In addition, our project management tools allow you to seamlessly track file revisions, submit comments on content, and keep your material safely and reliably stored on the intranet. Through eeedo, you can also exercise greater control over work flow. Our social project management tools allow team members to view conversations about ongoing projects, access to-do lists to keep track of what work has been accomplished and what is left to do, and view project information on the go through our mobile apps. As a result, each team member can easily stay abreast of the project’s progress and of their own responsibilities. 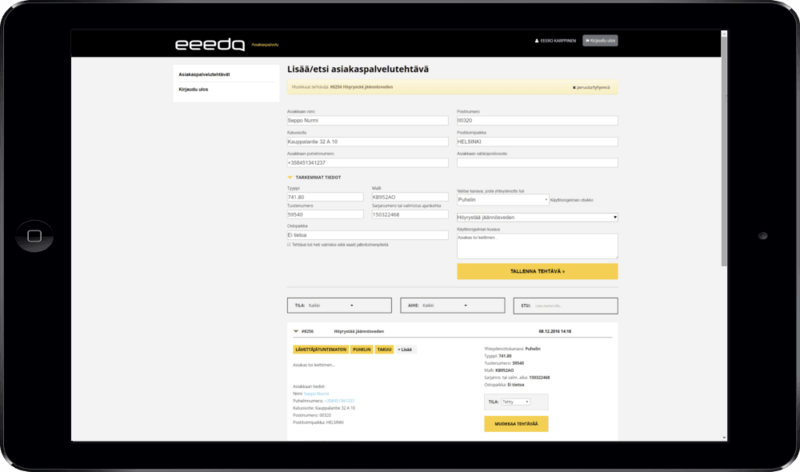 eeedo also enables the integration of external users (such as customers or suppliers) into the information flow. You can give them a restricted view while allowing them to interact with whichever pieces of the project are most relevant to them. With our tools at your fingertips, you will find that professional project management has never been easier. Visual task management for project tasks. Messages and microblogs for clearer communication. Wiki style information pages, polls, profile pages. People directory that can be searched by specific skills, locations and departments. Ability to comment on all content. Reminders, notifications, and email digests. Bidirectional SMS, Mobile apps for Apple iOS, Android, and Windows phones.